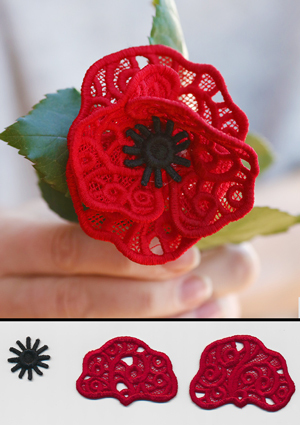 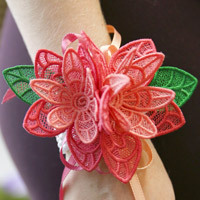 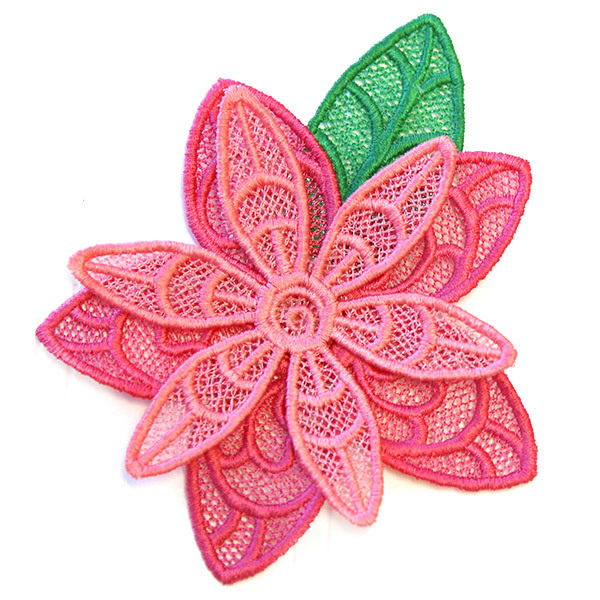 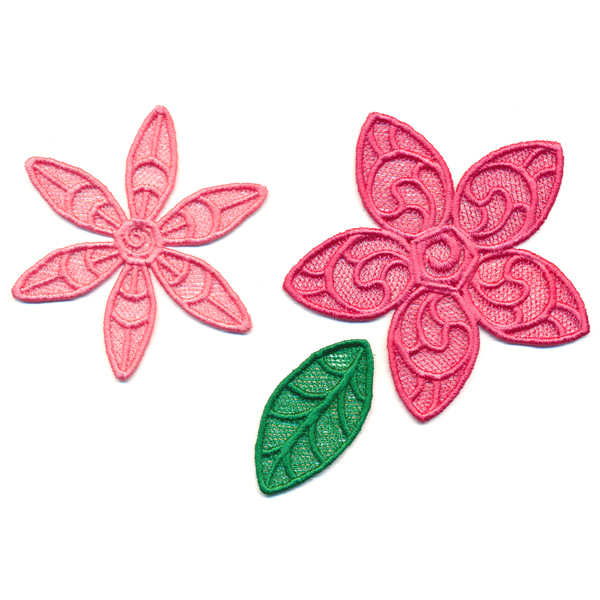 This dynamic freestanding lace flower is the perfect accent to hair accessories, bouquets, and more! 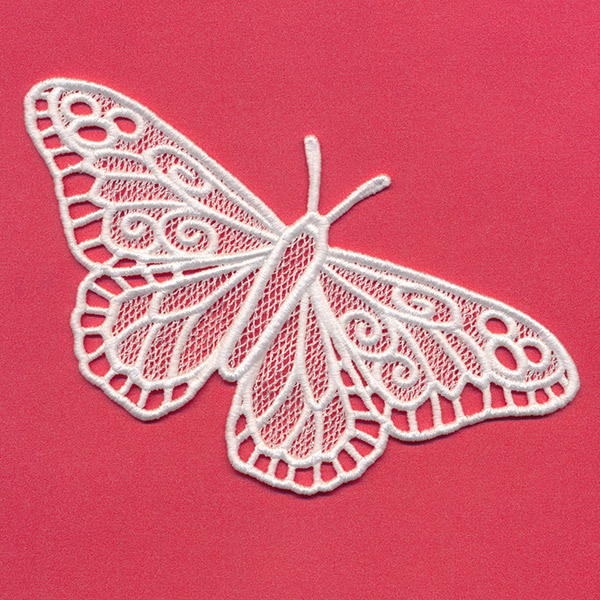 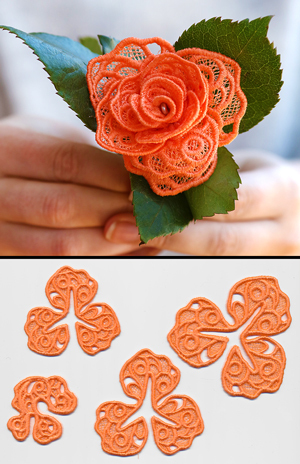 Stitch onto water soluble stabilizer and rinse to reveal 3D lace. 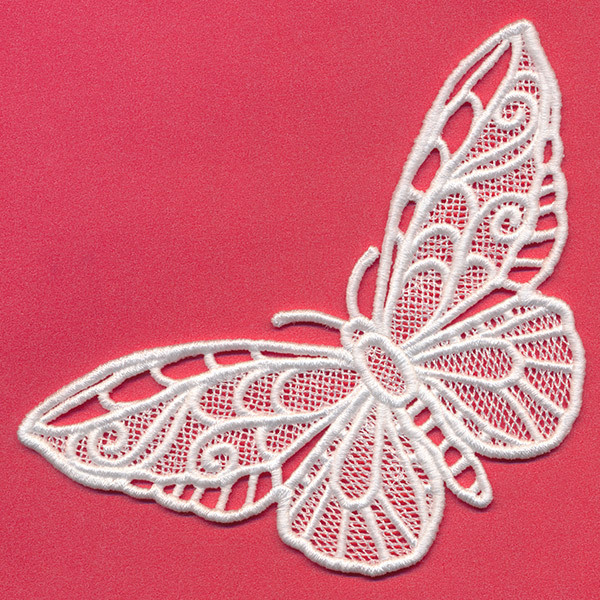 Size listed for largest piece, stitch count listed for all pieces together.